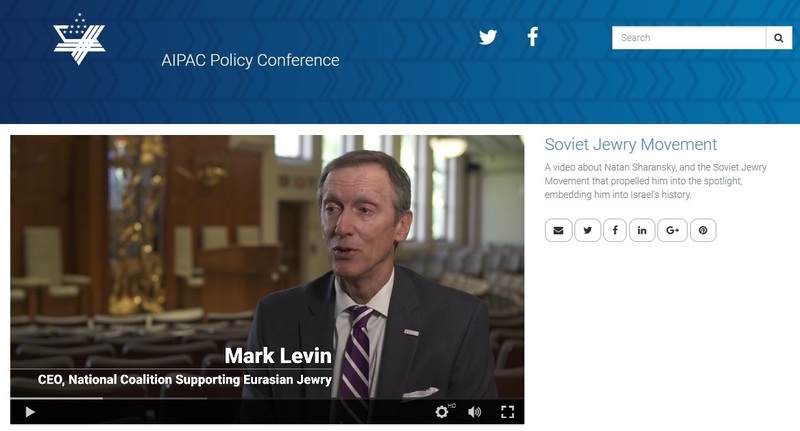 This morning, NCSEJ's vital role in the movement to free Soviet Jewry was featured in a video tribute at AIPAC's annual policy conference in Washington, D.C. The two-minute video was shown to the 18,000-strong audience, gathered together to advocate for Israel and celebrate the ties that bind our community together. We invite you to watch the video by clicking the picture below, or visiting http://watch.aipac.org/watch/DDWpH4gWyXxdYy2rioVrRo.